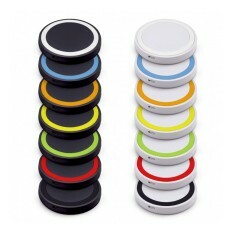 Stop plugging your phone in and just pop it down on one of our personalised Wireless Chargers instead. 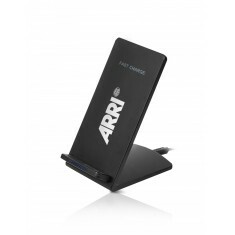 Simple, handy and with more and more phones supporting wireless charging, what’s not to love? 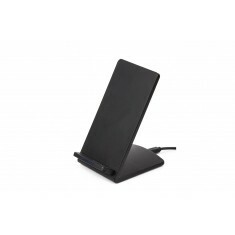 As wireless inductive charging becomes ever more prominent in technology, branded wireless chargers are bound to become outstanding gift ideas and ideal for sprucing up the office. 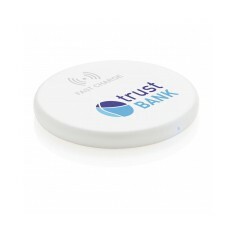 Seeing as customised wireless chargers are designed to place our everyday gadgets on top of, these promotional wireless chargers are perfect for impressing clients with wireless inductive charging technology. Supported on various Android devices and now available on Apple devices, soon you'll be charging all of your technology on custom printed wireless chargers. 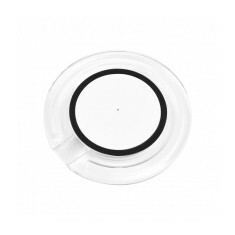 Our branded Clear Wireless Charger is designed to work with most wireless induction charging enabled phones and its small, clear design looks neat on any worktop. Simply plug this charger in and pop your phone on top! If you’re looking for something a little more on the premium side, our customised Premium Wireless Charger is the perfect solution. With a classic silver base and black rubber base, this custom printed wireless charger would not be out of place in a show home. Curious as to what your branding will look like when printed? Give our sales team a call today and we can draw up free visuals for you. 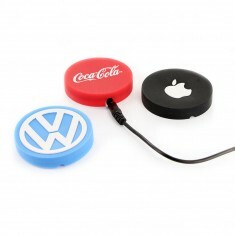 Customised mini wireless charger. Non-slip. Large branding area. 7 trim colour choices. Wireless inductive charging. Branded to the front. Works with various modern gadgets. 5W power. 150cm cable. ABS plastic material. 5V output. 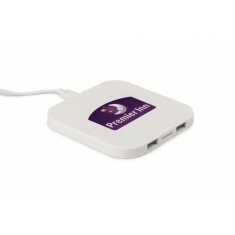 Compatible with QI enabled devices. Personalised to entire front face in full colour. UK stocked version available. Add the perfect companion to your desk with our personalised Slim Wireless Charger. Comes in Black. QI technology compliant. 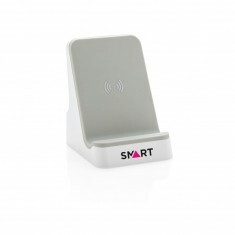 Fast Charge & standard wireless charging capability. 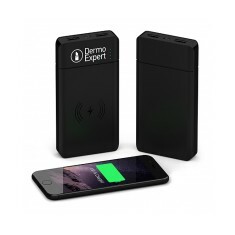 Up to 10W charging. Wireless charging powerbank. 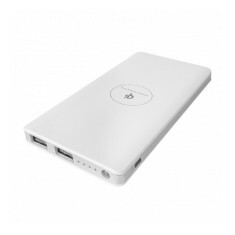 8000mAh. LED torch. Dual USB charging ports. Gift boxed. 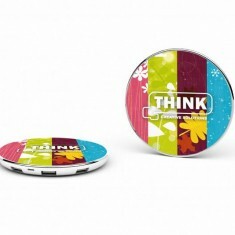 Wirelessly charge your phone back to full battery wherever you go with our pr..
Lightweight plastic body. Stylish design. 5 watt output. Available in black or silver. Wireless charging. Fast charge capabilities. 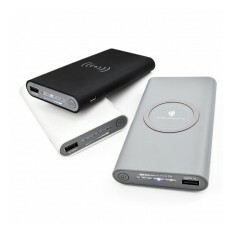 8000mAh capacity. Two USB ports.